The arrival of Mangoes signifies the onset of Summer, especially in India. Come, celebrate summer with this beautiful fruit lending itself into a mousse in this recipe – Mango Mousse Cake. With a season of nearly 3 months, this fruit has been adapted into almost all types of food – including salads, coolers and most importantly dessert. Eaten in multiple manners and also in relating to certain cultures – raw, chopped, cooked into main courses or salads and also incorporated into sweet treats – there is no end to the varieties the Indian mind can conjure up. Think Avakkai Pickle and you instantly think of the South. When it comes to Puree, the mind instantly conjures up the famous – Poori & Aam Ras combination of Gujaratis and Maharshtrians. Mangoes have also become a decadent fruit in many Western Cuisines. Our Mango Mousse Cake recipe, celebrates the fusion of the West with the Eastern speciality. 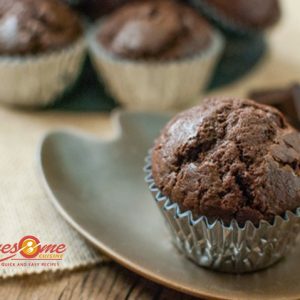 Go ahead and enjoy this simple recipe and treat your taste buds. The ultimate Summer signal. 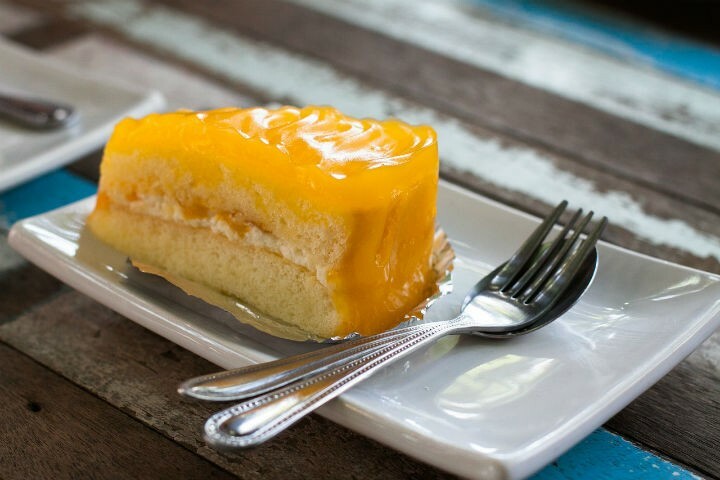 Smooth mango jelly topped on a simple sponge cake. For the topping, freeze the mango puree in ice cube trays. When frozen, crush these cubes and the plain ice cubes in a blender. Dissolve the skimmed milk powder in a little water and add to the above mixture. Blend for a minute. Add gelatine, lemon juice, mango essence, artificial sweetener and orange or yellow food colour. Blend till thick and creamy. Chill till ready to use. Fold a sheet of greased butter paper into a long strip, and arrange it like a collar around the cake, adding more height. Secure it with a pin. Pour the chilled puree onto the cake ensuring it doesn't spill out and is tightly secured by the collar. Keep refrigerated for upto 3-4 hours for the jelly to set and firm. Remove the collar and serve cold. 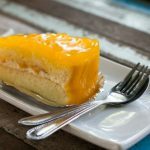 Feel free to comment or share your thoughts on this Mango Mousse Cake Recipe from Awesome Cuisine.